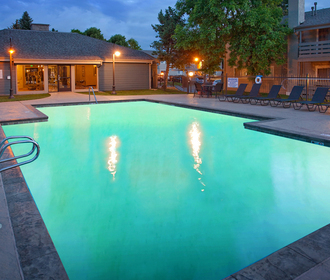 Hampden Heights Apartments in Denver, Colorado, is ready to help you reach new heights in the Mile High City. 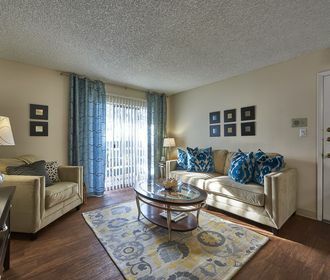 Offering studio, one and two bedroom apartments for rent, Hampden Heights Apartments is ideally situated between Denver and Aurora with easy access to I-25 and I-225. Located near the Denver Tech Center and University of Denver, this vibrant, pet-friendly community offers residents an array of active amenity spaces and comfortable apartments worth calling home. With both standard and optional features available, you can select the apartment at Hampden Heights that most fits your needs and style. The standard features include spacious living rooms, ceiling fans, walk-in closets, high-speed Internet access and fully equipped kitchens. 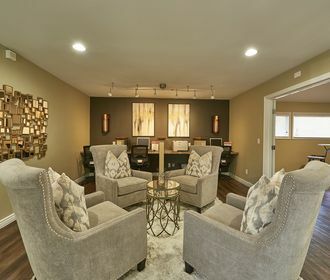 Additional options include faux-wood floors, fireplaces and accent walls. Within the community, you will have access to numerous enticing amenities, too. Inside, you can use the business center, tend to laundry in the laundry facility or use the free weights in the fitness center. Outside, you can take your dog to the dog park, perfect your backhand swing on the tennis court or swim in the pool. Contact the leasing office to learn more.